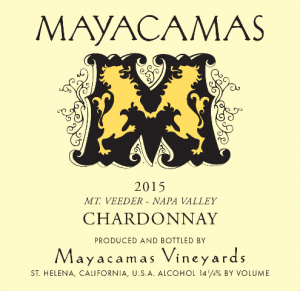 At the crest of Mount Veeder, a sinuous appellation that clings to the Mayacamas Mountains’ southern reaches, rests Mayacamas Vineyards – as it has for over a century. Here, at 2,400 feet, above the din of Napa’s valley floor, fifty acres of vines quietly speak to both an unshakeable past and a fortitude for the future. Their fruit finds its voice in a stone cellar built in 1889, and when bottled, it shares with us a story of humility and commitment – unadorned, with concentration, elegance, and balance. This began 128 years ago. In the late nineteenth century, as the Napa Valley trembled with the excitement of expansion – delighting in a burgeoning identity among the world’s fine wine – eyes gazed upward. In the Mayacamas to the west, Spring and Diamond Mountains first introduced the mountain tenor to the ensemble of Napa terroir. Mount Veeder, to their south – first known as the “Napa Redwoods” – shortly followed suit. Initially a resort area, Napa Redwoods saw the debut of its wine with an 1864 bottling, and by 1890, was host to twenty vineyards and six wineries. Among them, founded in 1889, was the winery of JH Fisher. Fisher, a German immigrant and pickle merchant in San Francisco, tended to Zinfandel on the weekends, and vinified in a shallow basalt cave on his property. Bankrupted by the 1906 earthquake, Fisher lost the winery, and – aside from rumors of bootlegging during Prohibition – the winery and its vineyards stood largely neglected until 1941. 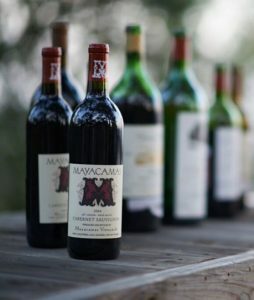 Guests of the Lokoya Lodge on Mount Veeder, Jack Taylor, a chemist for Shell, and his wife, Mary, purchased the property – the winery and its 260 acres – and with their three children founded Mayacamas. They began by planting the property to Chardonnay, using budwood purchased from the Wente Livermore Valley Vineyard – just like their northerly neighbors, the McCreas of Stony Hill. 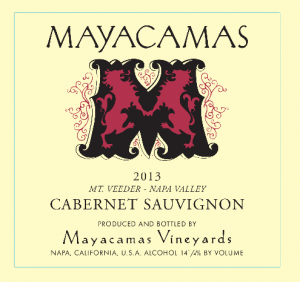 Cabernet Sauvignon plantings followed, and Mayacamas was bonded (#4417) in 1947. Their annual shareholders meeting in late summer – where constituents received dividends in bottles of Chardonnay – became a Napa attraction. The Taylors’ newsletter, composed of family recipes and vintage reports, was among the first such efforts in the valley, and by the 1960s their mailing list exceeded 10,000 subscribers. Next came Robert Travers, under whose stewardship Mayacamas found the voice it shares in present day. The son of a farming family, Travers wavered from a trajectory in engineering and finance, and, bolstered by his studies in wine, turned to Joe Heitz for a single harvest. After a year with Heitz, and the ongoing mentorship of André Tchelistcheff, Travers, only thirty, purchased Mayacamas from the Taylors. The estate’s winemaker, Bob Sessions – who would later, to legendary acclaim, become synonymous with Hanzell – remained by Travers’s side until 1971. Thereafter, Travers honed the house style of Mayacamas: the Cabernets were quickly fermented in concrete and aged for two years in large old oak and redwood casks, before spending an additional year in smaller barrique, and then two years in bottle before release. This gentle, patient approach to the mountain’s powerful fruit presented bottlings of unbridled elegance, beckoning to be revisited years after release. His Chardonnay eschewed oak and malolactic fermentation, manifesting in bottle as electric and tensile. In his forty-five year tenure Travers remained the ever-steadfast tactician, and in 2013, he opened his books and shared his hands with the next stewards of this historic property. Since 2013, the Schottenstein family and winemaker Andy Erickson have rigorously attended to the identity of Mayacamas – not merely with the intention of preservation, but invigoration. With the receptive eyes and palates of historians, Erickson and his team pored over Travers’s notebooks of vintages past, and tasted the wines threaded throughout the decades. And in this quiet study, a remarkable consistency spoke up: the terroir of Mt. 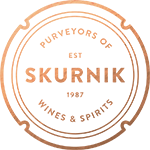 Veeder, the humble handwork, the patience of aging. This next generation’s task was clear: to share the singular voice of this mountain estate would only require the promise of longevity. And to keep this promise meant first learning the estate’s nuances alongside its former steward, and engaging the earth with a generous and responsible hand. Working with Travers in the 2012 vintage, the winemaking team learned to forgo new oak and instead implement the winery’s existing old casks – anything that still held wine. Only minor changes have since been implemented, including cooling equipment to stabilize fermentations and lengthen macerations (from twelve days to perhaps twenty). Greater work stood before them in the estate’s fifty planted acres. The winery called on Phil Cotturi, to replant the ailing, phylloxera-afflicted AXR-rooted vines, and to institute organic viticulture and continue dry-farming. The replanting process – only about five acres per year – promises to revive the estate’s yields for the next generation. The Mayacamas estate’s latest exhibition of resilience took place in October, as it confronted the Nuns Fire. As the fire ravaged Mount Veeder, scorching much of Mayacamas’s 475 rugged, wooded acres, it claimed a historic stone residence, used to host visitors and display the Schottenstein’s personal wine collection. The winery and vineyards, however, were untouched – with past vintages resting safely in the cellar, including the just-harvested 2017, and the many decades of library wines housed off-site. Through a century of intrepid entrepreneurship and artistry, generations of humble hands, Mayacamas has stood as an unwavering testament to the elegance hidden above the valley floor – yours to seek, now with Skurnik Wines.